I had to overcome several obstacles while in the FBI Academy as I trained to become an FBI agent. 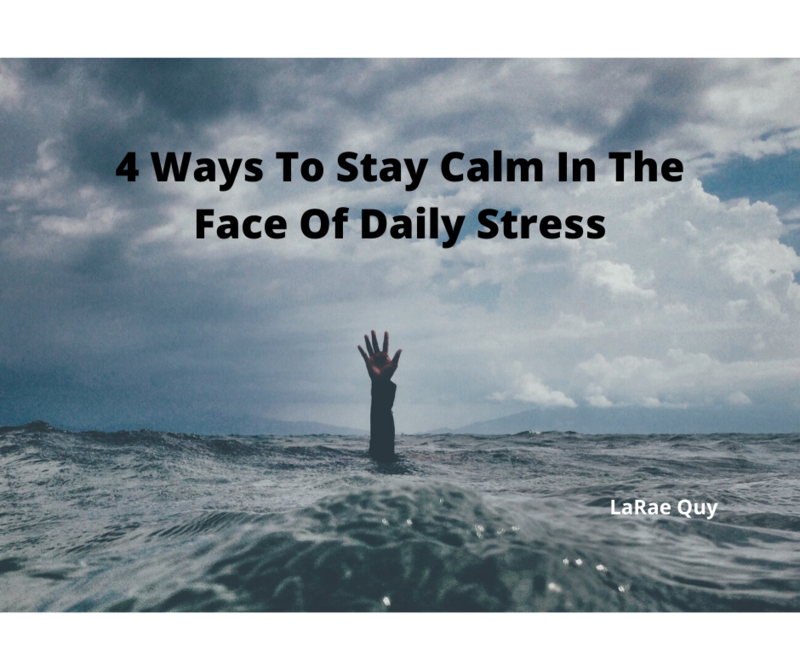 I needed to learn how to stay calm in the face of daily stress because I found it difficult to pass the physical fitness requirements. Among the many lessons I learned along the way about how to stay calm is this: it’s important that we understand the obstacles that we face and not run from them. I found a natural ally in the Stoic philosophy. The dictionary describes a stoic like this: Being Stoic is being calm and almost without any emotion. When you’re Stoic, you don’t show what you’re feeling and you also accept whatever is happening. The noun Stoic is a person who’s not very emotional. The adjective stoic describes any person, action, or thing that seems emotionless and almost blank. This is misleading because Stoics are very aware of their emotions and go to great lengths to understand them. There’s none of that stiff upper lip nonsense with them; Mr. Spock was not a Stoic. They feel every emotion as acutely as anyone else. They acknowledge, experience, and then domesticate them in order to achieve inner calm. In other words, they keep control of their emotions so they can stay calm in the face of daily stress. 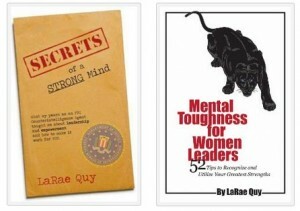 They developed mental toughness to get through hard times. Stoic philosophy asks us to differentiate between what we can change and what we can’t. We can’t control the weather, stock market, our genetic makeup, or the rudeness of a stranger. We can yell and shout but it won’t make a difference. We can wish and hope but no matter how hard we try, there are many things we can’t change or control. Since we can’t control external events, we need to focus on the things we can control—ourselves and our response to external events. It’s a philosophy that reminds us that the world can be unpredictable; we need to strive to be steadfast and develop a strong mind so we can be in control of ourselves. In other words, we need to grow up, stop feeling sorry for ourselves, and take responsibility for our own actions. The Stoics believed that fulfillment should be based on behavior rather than words, on the things we can control and not those we can’t. They were not idle philosophers who sat on a porch and pontificated; they were people of action who solved their problems on a battlefield, not in a classroom. When at work, we fantasize about a vacation; on vacation, we worry about the work that’s piled up on our desk. We dwell on intrusive memories from the past and imagine the glory that lies ahead of us. Anywhere but here, our minds pop in and out of the present moment. As a result, our thoughts and emotions control us, something the Stoics warn against. Jon Kabat-Zinn wrote, “Ordinary thoughts course through our mind like a deafening waterfall. We need to rest in stillness—to stop doing and focus on just being.” Living in the moment is also called mindfulness, and Kabat-Zinn is the biomedical scientist who introduced meditation into mainstream medicine. When we become mindful, we observe our thoughts from moment to moment but we don’t judge them. Mindfulness requires us to be with our thoughts just as they are, neither good nor bad, and not grasp the positive thoughts or shove away the negative ones. Acceptance of an negative emotion doesn’t mean you have to like what produced the negativity. It simply means you accept that certain things are beyond your control. The anger, jealousy, or pain is there whether you like it or not. Just embrace the emotion—sadness, stress, pain, or anger is there whether you like it or not. According to Kabat-Zinn, acceptance of the present moment has nothing to do with resignation. Acceptance doesn’t tell you what to do; what happens next and what you choose to do comes out of your understanding of this moment. How To Make It Work For You: Read “Full Castrophe Living” by Jon Kabat-Zinn. He writes about his medically-proven stress reduction program based on mindfulness. It gave rise to a whole new field in medicine and psychology. He illustrates how mind-body approaches derived from meditation and yoga can help us stay calm in the face of daily stress so we can establish greater balance of body and mind. A recent study of 5,000 top performers in business yielded a surprise. The study found that the highest-ranked performers were not those who did the most. Nor was a better ability to organize or delegate. Instead, top performers accepted fewer tasks and then obsessed over them. Whenever they could, they carefully selected which priorities, tasks, meetings, customers, ideas or steps to undertake and which to let go. They then applied intense, targeted effort on those few priorities in order to excel. Talent, effort and luck mattered, but not so much. How To Make It Work For You: Focus is the key when you want to pursue goals with value rather than stick with the status-quo. You do not need to work longer hours to outperform; you need to set your priorities and then pour your blood, sweat, and tears into those areas. It’s easier to stay calm in the face of daily stress once you select the important goals in your life that produce value for you. Distractions often occur when our inner nag starts to fret about all the things that need to get done. As a result, intrusive thoughts constantly interrupt our productivity, and we end up second-guessing our choices. Research behind the Zeigarnik Effect proves that the unconscious mind needs the conscious mind to plan how to finish tasks or accomplish goals. That’s why the inner nag keeps fretting about all that needs to be done. When this happens, it’s impossible to stay calm in the face of daily stress. Sit down in a quiet place with a pen and paper and let your thoughts ramble. Whether it’s small or large, important or not, write down every single thing that either needs a decision or has your attention. Don’t take the time to prioritize the items on your To-Do list at this point. Just listen to the voice of that inner nag and write down whatever pops up. FBI firearms training showed me to how to narrow my focus to the one thing that needs attention immediately (front-sight) while at the same time registering awareness of the bigger picture of other things around me (the target). In the same way, your conscious mind may now be focused on a new goal, but the unconscious mind still sees everything else that needs to get done. It needs closure and it will continue to create intrusive thoughts that won’t go away until you’ve turned your attention back to those other tasks that also need to be addressed. In his book, Getting Things Done, David Allen talks about the importance of identifying Action Steps after you’ve created your To-Do List. The list by itself doesn’t narrow your focus enough when you have lots of priorities clamoring for your attention. You continue to create anxiety for the unconscious mind because it needs more than a goal—it needs a plan! It needs an action step. Prioritize the to-do list you created in Step 3. You’ve addressed all the tasks that your unconscious brain is anxious about, but now you need to prioritize each item according to importance. The unconscious mind needs specifics like time, place, and opportunity. Once the plan is formed, the unconscious stops nagging with constant reminders. If you have a presentation to make at 8:00am, your unconscious mind wants to know exactly what needs to be done. You may have 100 other items that also need attention, but you can relax and not worry about the inner nag bothering you again about it if you make a plan to review your notes at 7:00am that morning. It is human nature to finish what we start, and front-sight focus is how we pay full attention to one goal at a time so we can be successful. Stress can be so overwhelming not only when we have loads to do but when we (ok, I) obsessively mull over other people’s role in my stress. That gives them an awful lot of power over our lives. I appreciate your suggestions in here. It’s not doing it all, but instead choosing to do what you take on with everything you’ve got. Great post LaRae! Stoic philosophy is so fascinating as it helps guide us to make decisions in a more controlled way. I have found that when I allow too much emotion in to my choices I don’t always see my best path forward. Mindfulness is also a wonderful strategy to keep us on point and less distracted. Thanks so sharing some great ways to tackle stress! Great post. So much of our work these days starts with your #2 Helping leaders at all levels be highly selective in their MITs (Most Important Things) and concentrating their efforts on nailing those (and being willing to elt some smaller stuff go). When organizations can do that consistently (in an integrated way). The results are quite powerful.